Welcome to the website of Mildmay Infant and Nursery School. I hope you enjoying finding out a bit more about us by exploring the information on this site. The children and staff play a key role in providing drawings, photographs and information for you to look at and I would like to thank them for making our school the fantastic place it is. Mildmay Infant & Nursery School is proud to be part of the Tile Kiln Community with links to many local organisations. We have supportive governors and parents who contribute to the everyday life of the school. We are a very privileged mainstream school as we also have the benefits of a nursery and a Resource Base for hearing impaired children. Our Nursery provides a fantastic start to our children’s school life where they get to know their peer group and have the advantage of having full access to all the schools resources. You can find out more on the Dear Zoo class page and the Nursery link. Whether you are an existing Mildmay family or looking to join our school please do not hesitate to contact me if you have any questions about our exciting and creative school. 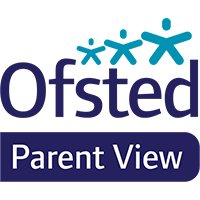 ‘Parents hold the school in high regard and show great appreciation for the progress it enables their children to make.’ Ofsted 2014.